The transformative promise of the digital humanities is not without problems. This paper looks at digital archive curation using a database of 19th-century London concerts as a case study. 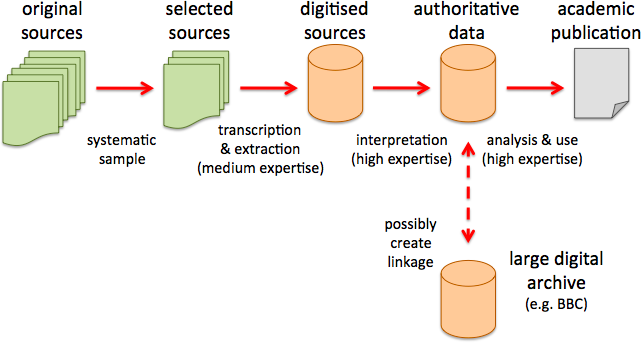 We examine some of the barriers faced in its development, related to expertise, volume and complexity, the gap between cost and benefit, and the desire for an authoritative and complete dataset that forces a particular linear process of curation. We explore the potential for more radical approaches where curation and use are interleaved, and where digitally maintained provenance allows professional judgement to be applied to incomplete, crowdsourced, or automatically processed data. In Concert is a mini-project of Transforming Musicology, itself funded under the AHRC Digital Transformations in the Arts and Humanities scheme. 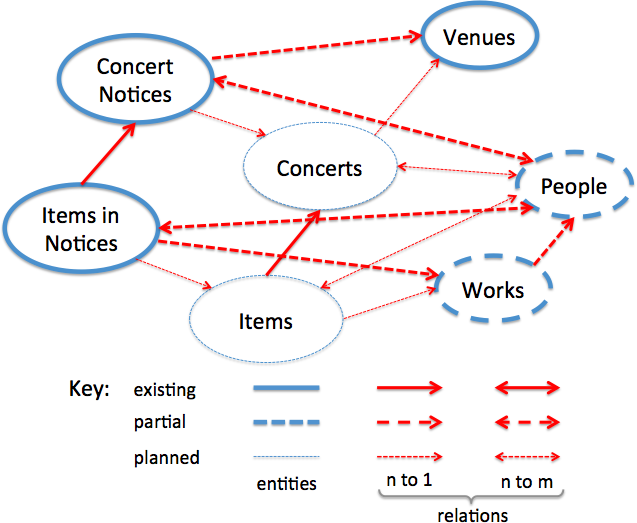 Concert Life in 19th-Century London database project, funded by the University of Huddersfield and Oxford Brookes University (1997–2001), and the Arts and Humanities Research Board (UK) and University of Leeds (2001–04). Research Assistants: AHRB Research Assistant (with studentship) Ann Royle (1999–2004). Project Research Assistants: Stephen Follows (2001–03); Vania Schittenhelm (2000–02); Emma Peake (2000); Michelle Brachet (1998–2000); Clare Lyon (1998–2000); Jamie Savan (1998–99); James Marshall (1998–99). We would like to record our thanks to the research assistants for their integral contribution to Phase I of the project. Bashford, C., Cowgill, R. and McVeigh, S. (2000). The Concert Life in Nineteenth-Century London Database, in Nineteenth-Century British Music Studies, 2, ed. by J. Dibble and B. Zon (Aldershot: Ashgate, 2000), 1-12. Borges, J. (1946). Del rigor en la ciencia. (tr. ‘On Exactitude in Science’) Los Anales de Buenos Aires 1.3 (Mar. 1946):53. A. Dix, R. Cowgill, C. Bashford, S. McVeigh and R. Ridgewell (2014). Authority and Judgement in the Digital Archive. In The 1st International Digital Libraries for Musicology workshop (DLfM 2014), ACM/IEEE Digital Libraries conference 2014, London 12th Sept. 2014.. 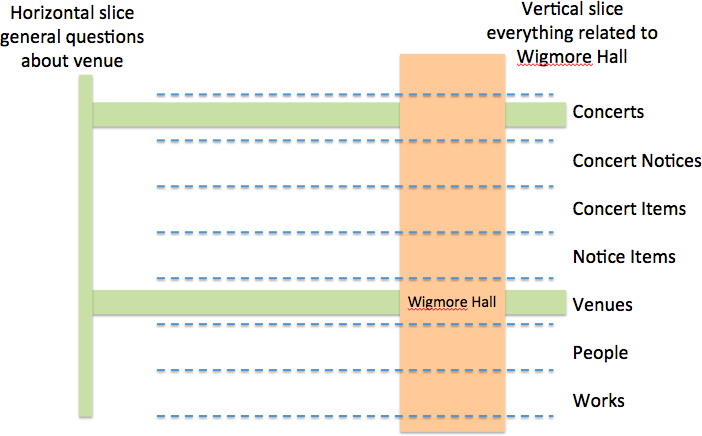 Structure of the Concert Life in 19th-Century London database project . Concert Life in 19th-Century London database – a classic digital humanities process?